The Episode starts with Komolika saying where is this Mishka. Anurag says I have to come to tell you that I… Prerna asks what. Komolika comes to call Anurag. She says you are in much demand, everyone wants you. Mohini asks him to come. 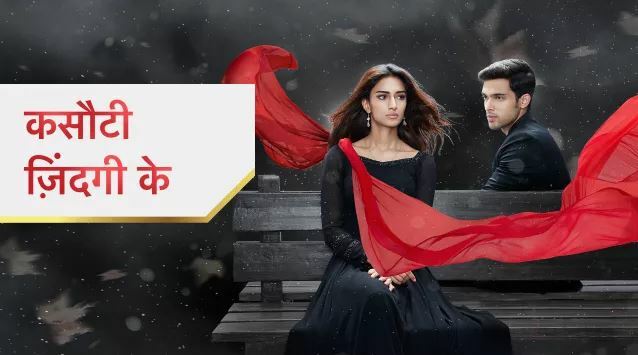 Anurag says I will be back Prerna. He goes. Komolika stares at Prerna. Prerna goes. Nivedita says why do I think you are interested in Anurag. Komolika says no, if I had interest in him, he would have come to me. She goes. Mohini says thanks for coming in the engagement on a short notice, we promise to give one week notice before their Sangeet, it will be held next week, you all have to come. Everyone claps. Mohini sends Prerna for work. Mishka introduces her friends. Anurag gets busy. Prerna goes to Mohini’s room. Anupam feels sad. Anurag asks did you see Prerna. Anupam asks what’s happening. He sees Anurag’s hand and thinks he has removed his engagement ring. He says yes, she went to Mohini’s room. Anurag thanks him and goes. Mishka asks did you see Anurag. Anupam says yes, and misleads her. He smiles. Moloy asks guests to enjoy the function. He meets the staff man’s daughter Avika. He learns Avika bearing the studies’ pressure from her parents. Avika says I want to get good marks, but Naina competes with me. Nivedita says Avika will get better marks. Moloy says don’t pressurize her, do one thing, sit, exams are a small part of life, don’t make it a big thing, don’t take stress, what if Avika scores less, she can get depressed, sorry. The man thanks Moloy for his advice. Avika thanks Moloy too. Mishka sees Prerna’s pic and says I had kept it in book, so Anurag got this. She burns the pic and says Prerna, now Anurag won’t see you. She throws the pic outside. The curtain catches fire. Mishka leaves. Mohini says Chobey ji, I hope you didn’t mind this engagement. Chobey says no, I m glad to get related to your family. He goes. Mohini asks Moloy why does he look happy. He asks do I have any choice, Anurag did that you said, I like Chobey, he is a good man, he helped Anurag and Prerna. She says my son was in jail because of Prerna. He goes to get a drink. Anurag’s coat catches a spark. He looks for Prerna. Anupam and Nivedita see the smoke. Servant shouts about fire. Everyone goes out of the house. Prerna cries thinking of Anurag’s engagement. He comes there. She sees his coat in fire. She gets shocked. She asks him to remove the blazer. She blows off the fire. He asks how did this happen. He says you could have told me, you have hit me, its a good day for me, you ruined my mood. He thinks because I realized I love you. She thinks you got engaged, I didn’t even wish you. She says sorry. She compliments him for being good hearted. She says everyone trusts you, they know you won’t break anyone’s heart. He recalls his engagement with Mishka. He thinks Mishka trusted me, I have to tell my feelings to Mishka first and then Prerna. He says thanks. Prerna says how did fire catch up on his blazer. Mishka says Anurag would be inside. Anupam asks what, I will get them, you go out. Mishka says it means Prerna is inside. Prerna goes to Anurag. He says you need help. She says no. He says good, strong independent woman, when will you meet me. She says I have some work at home, I will leave soon after keeping these quilts in car. He says fine, its okay, I will come to meet you if there is any work. He goes. Everyone worries for Anurag. Prerna hears the sound and goes to see. She sees everyone and the fire. Rajesh asks are you fine. Prerna says yes. Rajesh says we will get garden pipe here. Shivani asks Prerna not to go anywhere, is she fine. Prerna runs for Anurag. Moloy asks where are you going, there is fire caught up. She says Anurag. Chobey asks for Komolika and Mishka. Moloy says they will be fine. Prerna says I have to save Anurag. Shivani says I won’t let you go. Prerna says leave my hand for my sake. Anurag and Prerna are together, caught up in fire. Komolika says Mishka, Anurag will be just yours. Anurag hugs Prerna and says yes, I love you Prerna.